It is the courageous that realize we have a choice in how we deal with the powerlessness we feel during times of crisis. I am inspired by the courage of a man I have never met and how he ‘rose to meet the challenge’ battling a life threatening illness. His name is James “Rhio” O’Connor. He battled mesothelioma, a rare cancer that occurs in the thin layer of tissue that covers the majority of your internal organs. Unfortunately, mesothelioma is an aggressive disease and for most people a cure isn’t possible. It was not his illness that makes him inspirational, but the attitude he took to meet the challenge for survival. His intellectual curiosity to research his illness, make informed decisions about his treatment and maintain his optimistic spirit is what I admire. He not only has bravely shared his personal experience with others, but encourages us all to grow beyond what we know through education and by thinking about how we would rise to the challenge and fight ‘against the odds’ for survival. I hope by sharing his story, and finding the courage to share my own, you will find something greater within yourself without having to battle a major illness. I had always thought I pursued life with determination, curiosity and a spirit of well being. It wasn’t until I was faced with a life altering illness that my self determination, motivational creativity and research skills were put to the test. I have an idea of what Mr. O’Connor felt getting dire medical news, having faced similar news myself. At 28, it is hard to hear that you will most likely be handicapped and have the risk of dying from an opportunistic infection. Your friends are thinking about getting pregnant and having a family, and you are fighting just to ‘be normal’. I can imagine it is just as difficult to learn your body has cancer. I don’t know exactly what steps I would take if given a dire cancer diagnosis having never been in that situation, but I think they would be similar to the steps I faced with my own illness. After the initial shock begins to wear off, you realize you have to face this fear because hiding under the covers is not going to make it go away. So you do all the research you can. Learning about the tests they use and what they mean, reading books by others who have faced the same disease, looking not only into western medicine for drugs but also eastern medicine to try to ‘rebalance’ you body can seem overwhelming, but necessary. I was amazed to find that when I was diagnosed I thought my doctor would know all about the tests indications, disease progression and have the answers like they always had for strep throat and ankle sprains. Unfortunately it was not that cut and dry. There were no treatment guarantees and still much that was unknown about treatment options and their results. Many doctors didn’t want to take on the challenge for fear of malpractice since the disease I had is complicated and expensive to treat without the guarantee of a ‘happy ending’. My husband was amazing using the internet to find the actual medical treatment guidelines that the doctors are to follow. We used all of our resources, even friends we had lost touch with who had contacts in the medical field that could potentially help us through their clinical studies, medical first hand experience in treatment or referral to researchers for up to date insight about treatment successes. The library was a great resource for books about people who had lived through it telling us what to expect, gave us hope about those who made it through the illness, and what to look for as an emergency symptom of the disease. There was a lot of information that was pseudoscience out there for treatment and snake oil salesman hawking products with unrealistic guarantees. Still you felt drawn to review even the wildest plans for even a glimmer of hope for recovery. I created my own treatment plan blending medical wisdoms. Western medicine for drug treatment since we knew that my disease was based on a bacterial infection and that my own immune system, as hard as it was fighting, needed help to destroy the bacteria. Eastern medicine helped with my everyday living and mental balance. Acupuncture helped reduce the pain and helped my body expel toxins from the drugs and dead bacteria in my system. Therapeutic massage helped reduce the swelling and keep my muscles limber so I could move through daily living activities with minimal pain. Taking vitamins and energy drinks helped make available the enormous amount of nutrients needed to bolster my body’s immune system. Keeping my mental state positive was the harder than all the painful tests and miserable drug side effects. But I drew on a place of strength within myself I never knew I had, which pulled me through even the toughest days. If it had been cancer I was fighting rather than bacteria, I still would use the benefits of both schools of medicine, taking the best of each and blending them together so my body is being treated as a whole, rather than just the pieces doctors feel are ‘sick’. Researching the benefits and limitations of chemo, radiation, surgery including what each can provide in your own bodies situation, and what consequences you would later face. 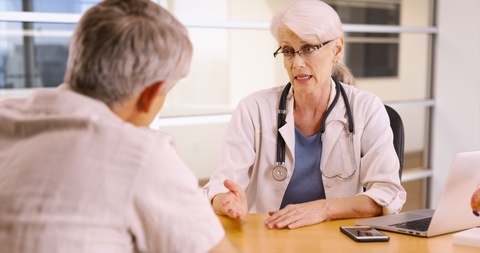 Understanding the disease you have, and all information known about it helps guide you and your physician to create a tailored treatment plan to improve the quality, and hopefully the quantity of your life. No treatment is without risk so weighing the benefits of each, the potential consequences and any alternatives that could work just as well with fewer side effects is important before any major decision. Each disease has its own ‘personality’ and needs to have a treatment tailored to its growth rate, the amount it has spread, include the health of you immune system and your overall ability to cope with invasive procedures. Four years after being diagnosed, I have overcome my disease. I still live with lingering effects that I will have the rest of my life, but I am back to feeling normal. All 16 of the doctors who tested and treated me have been amazed at both the depth of my illness, and the extent of my recovery. They have commented that it was my will power, the drive to meet this difficult challenge head on and our extensive, and varied research, that has brought me this far. I have always hesitated in sharing my story because the years I spent disabled and fighting for health bring me feelings of shame and loneliness. Being sick you are segregated from society and not seen as a healthy person in a sick body, but a failure for not staying healthy. After reading about Mr O’Connor, I now realize the strength and courage it took for me to overcome the mental and physical barriers my illness created, and be able to give strength to others by understanding for those who are ill, as I wish I had been understood. For the past year I have been completing classes in pursuit of a degree in nursing. I know how much it would have helped me for the people treating my illness to understand the mental and physical limitations on the ill, and the importance of being supportive, and not condescending. I personally understand the struggle it takes to get to a clinic for treatment, and the waves of panic you feel while facing the reality of your illness and the exhaustion from its horrible symptoms. While I am going to school, I volunteer 4-8 hours a week at the local hospital Ambulatory Treatment Unit working with cancer patients getting treatment, people having diagnostic tests like lumbar punctures and liver biopsies and patients with all sorts of ailments. I want to bring to every patient I speak with hope, a few moments of peace and respect for what they are quietly battling. I am inspired by miraculous people like Mr. O’Connor who fight an ‘insurmountable force’ every day to be able to live many years beyond what doctors had expected. I understand the power of that achievement and all the work that went into make it successful. I am thankful everyday that I am no longer suffering and don’t take that second chance lightly. I hope to be able to empower people currently suffering as we have suffered. By writing this I want to share with others the encouragement needed to find hope within yourself to rise beyond what you feel is possible to meet great challenges.